The SETIS Association (Alumni type entity ) brings together graduates from the former Electrotechnical Faculty (with four sections until 1990), Electrotechnics, Power Engineering, Electronics and Telecommunications, Automation and Computers but also of the current Faculty of Electrical Engineering, Power Engineering and Applied Informatics. 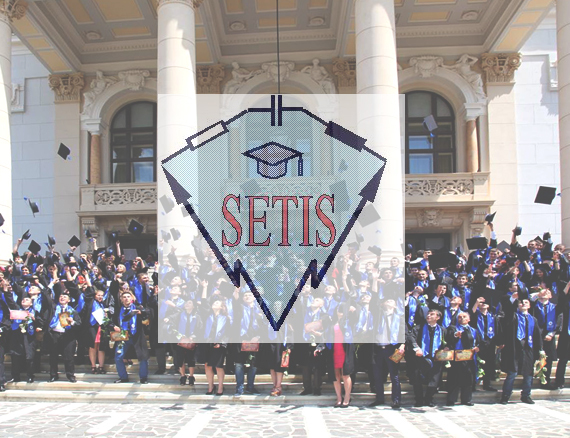 The purpose of SETIS is to cultivate on the one hand the affective and professional links between the faculty and the graduates in order to increase the efficiency of the faculty activities and on the other hand among the graduates in order to facilitate the professional and social links. As Dean, I was SETIS honorary president in the 2008-2012 mandate. Since May 2016, I was elected Executive Director of the Board. SETIS is the main sponsor of the EPE International Conferences organized by our Faculty. For October 2018, the 10th edition is already in preparation. At the same time, it financially supports other conferences (SIELMEN, IMEKO TC 4 Symposium, various workshops and round tables and student projects, activities, competitions.